It looks like truth may just mirror fiction. Either that or the Android Police team has some scary psychic powers (although some may call it intuition). 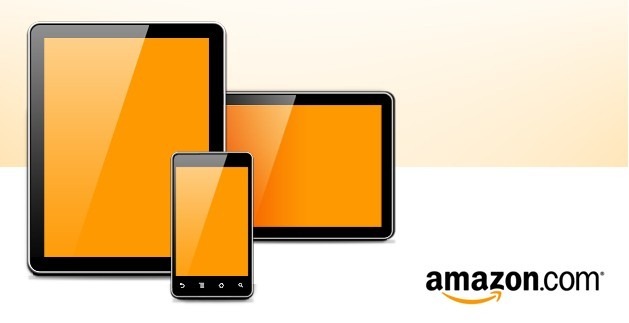 According to Android And Me's latest rumor, Amazon is indeed set to dip their toes into the waters of the Android device market. Multiple tipsters within the industry have informed them that Amazon is working on an "entire family" of Android devices slates for a holiday 2011 arrival. It seems safe to say that "entire family" can be interpreted as a phone and a number of different sized tablets. This isn't very surprising, as Amazon has been a major player in e-readers for a long time, and there have been previous rumors of "iPad competitors" coming out of Amazon HQ since September of last year. These facts, along with the heavy investments in Android that the App Store and Cloud Music Player represent, make Android-powered devices from Amazon a near eventuality. While the existence of these devices is intuitively likely, the exact specifications are anything but. Taylor Wimberly of Android And Me seems to think these devices will sport Qualcomm's Mirasol display (where have we heard that before? ), Texas Instruments' dual-core OMAP4 processor, and a heavily customized version of Ice Cream Sandwich. He does point out more than once that these are just his gut feelings, and there is little more to the rumor right now, although his sources are confident of the direction Amazon is taking. While this potential spec list is pretty attractive, I have to say I am a bit disappointed they didn't go for the whole solar panel thing.